PowerArchiver 2018 – 18.000.46 – RC3 released! We are pleased to announce immediate availability of PowerArchiver 2018 18.00.46 – our Release Candidate #3 release of PowerArchiver 2018. We have improved several parts of PowerArchiver, including copy/paste functionality, Patchbeam update system, translations, and now older versions of PowerArchiver will show the 2018 update available. Improved copy and paste functions in the interface – Improved copy and paste functionality throughout the interface. In previous versions it was working in some windows but not all, now it works properly everywhere. Improved installer – Improved install process over older versions (e.g updating from PA 2017). Improved the Patchbeam update system – Patchbeam system will use patches or full installations depending on your installed version. This enables us to use patches more, last patch from .44 to .45 was only 307 kB in size. Updated all translations – Updated all of the translations for our international users, over 30 translations are available. Other Improvements and Fixes – Various fixes/improvements, 20 issues closed. For the full list go to our forums. PowerArchiver 2018 is the most advanced release of PowerArchiver ever. We made PowerArchiver up to 3x faster, a difference that you will notice immediately. it now uses less memory and still looks great. 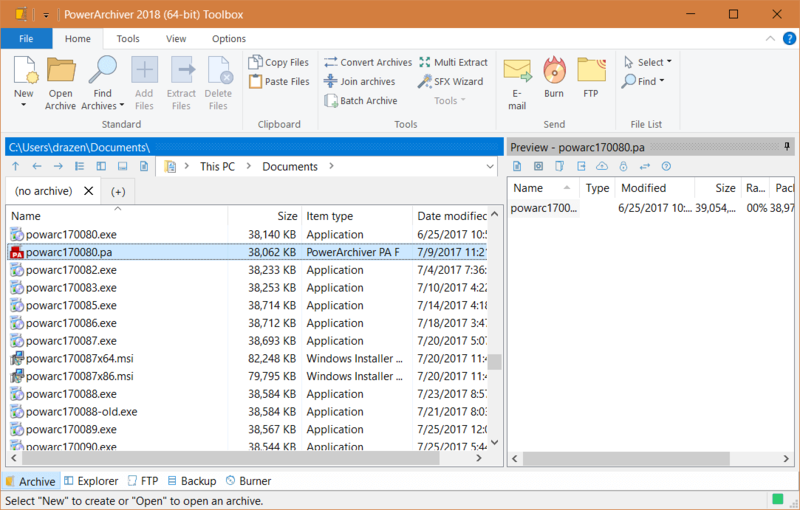 PowerArchiver 2018 supports tabs which means that multiple archives can be opened within the same PowerArchiver window. We have also implemented a built-in PDF engine for easy and fast previewing of all kinds of PDF files. In addition to all of those changes, we have implemented a much stronger ZIP Deflate engine that will create the smallest possible, yet compatible ZIP files with full multi-core support (as many threads as your CPU supports – 16? 24? It works!). 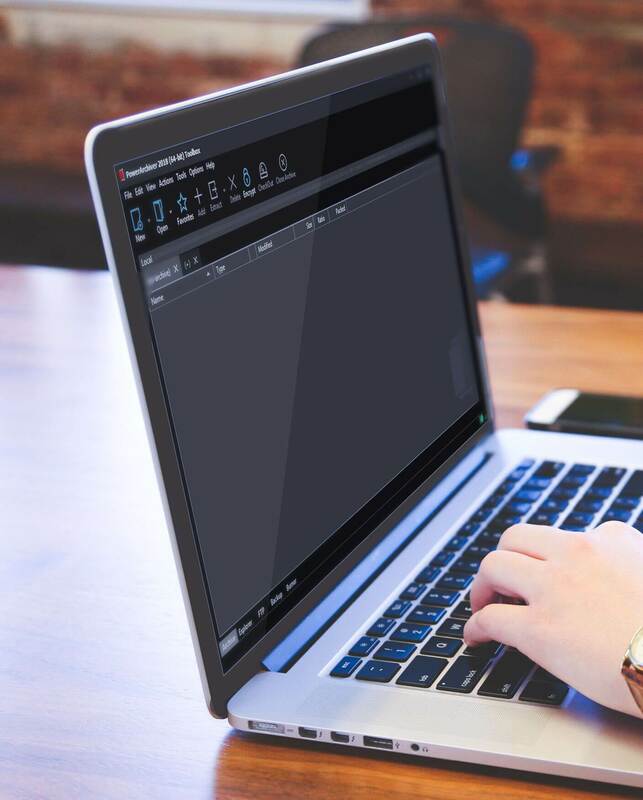 The Advanced Codec Pack – .pa format has been fine tuned for the best compression and speed on the market! For a list of additional changes in the new PowerArchiver 2018, please check out PowerArchiver 2018 Introduction. PowerArchiver 2018 RC3, with the Advanced Codec Pack (.PA), is now available from our download page as well as Patchbeam for PowerArchiver 2018 users. Thank you for your support since 1998! Previous Post PowerArchiver 2018 - 18.00.43 - Release Candidate 2 is out! Next Post PowerArchiver 2018: Whats New?